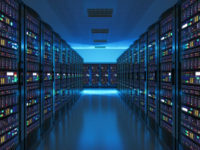 Post Tagged with: "data localization"
The digital policy implications of the USMCA have attracted increasing attention as Canadians consider the risks that the agreement could limit future policy flexibility. In particular, the agreement restricts the use of data localization, an increasingly popular legal method for addressing public interest concerns associated with the collection of online information by mandating that data be stored within the local jurisdiction. Restrictions on data localization are not entirely new to Canada, since similar provisions are found in the CPTPP (the successor to the Trans Pacific Partnership). That means that Canada has already agreed to limits on data localization with or without the USMCA. However, the USMCA’s data localization provision differs in a significant way, suggesting that the Canadian government has agreed to an even more restrictive approach than that found in the CPTPP. CIGI’s essay series on data governance in the digital age has shone a spotlight on the need for a national data strategy. My contribution notes that central to any data strategy will be some measure of data control. 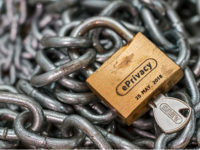 Given the implications for privacy, security and innovation policies, this includes some control over where data is stored and the conditions under which it is transferred across borders. Yet, despite the mounting data concerns, Canada may have already signed away much of its policy flexibility with respect to rules on both data localization and data transfers, severely restricting its ability to implement policy measures in the national interest. 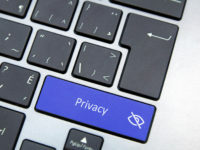 Data localization rules, which require data to be stored locally, have emerged as an increasingly popular legal method for providing some additional assurances about the privacy protection for personal information. Although heavily criticized by those who fear that it harms the free flow of information, requirements that personal information be stored within the local jurisdiction is an unsurprising reaction to concerns about the lost privacy protections if the data is stored elsewhere. Data localization requirements are popping up around the world with European requirements in countries such as Germany, Russia, and Greece; Asian requirements in Taiwan, Vietnam, and Malaysia; Australian requirements for health records, and Latin America requirements in Brazil. Canada has not been immune to the rules either with both British Columbia and Nova Scotia creating localization requirements for government data. Canadian Foreign Minister Chrystia Freeland outlined Canada’s NAFTA negotiating objectives in talk earlier this week, identifying the need to modernize NAFTA so that “all sectors of our economy can reap the full benefits of the digital revolution.” I posted yesterday on how the IP chapter could be used to level the playing field for innovation. This post discusses how the new e-commerce chapter, which will be the most obvious manifestation of a modernized NAFTA, offers the opportunity to address an increasingly important aspect of modern cross-border commercial activity.